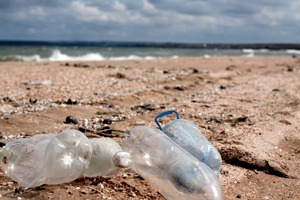 Recently, the U.S. Environmental Protection Agency (EPA) awarded over $214,000 to help decrease sources of marine debris. The grants were awarded to the Product Stewardship Institute (PSI) in Boston, Massachusetts, and the Monterey Bay Aquarium in Monterey, California, in partnership, with local students, governments, and businesses. The PSI will use $164,245 to study ways to cut down disposable plastic packaging - a major source of ocean pollution. The Monterey Bay Aquarium will use $50,000 to train 100 teachers, who will teach 7,500 students about marine debris, how it affects the ocean, and possible actions to take. The PSI study will take place on the University of California campuses of Santa Cruz, Santa Barbara, and San Francisco. The results will be used to create a program that other universities and fast food restaurants will be able to use. The Institute will also work towards achieving a 40 percent drop in plastic water bottles, and an 80 percent drop in the use of polystyrene take-out food containers. Through the Monterey Bay Aquarium, students will be taught about the hazards of marine debris. They will then lead 40 local community action projects to reduce sources of plastics in the ocean. Results will be released to 300 teachers at yearly open-houses, and through the Aquarium’s website. Pollution puts marine and coastal wildlife at risk, ruins ocean environments, causes navigation hazards, and puts human health and safety in danger. Protect workers clearing beach and shoreline pollution by determining the possible hazards and providing the proper safety products, including coveralls, work gloves, and protective footwear.